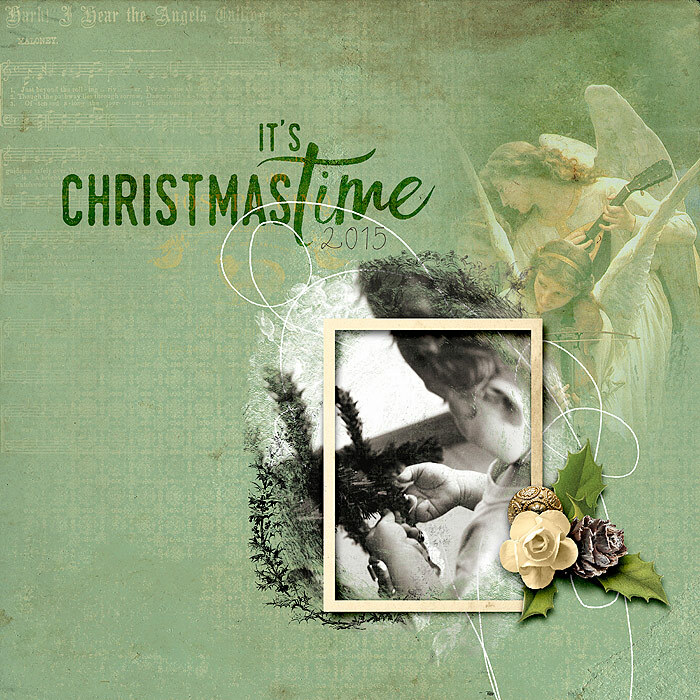 If you love the magical days of Christmas, then this mini collection is a perfect fit for you! 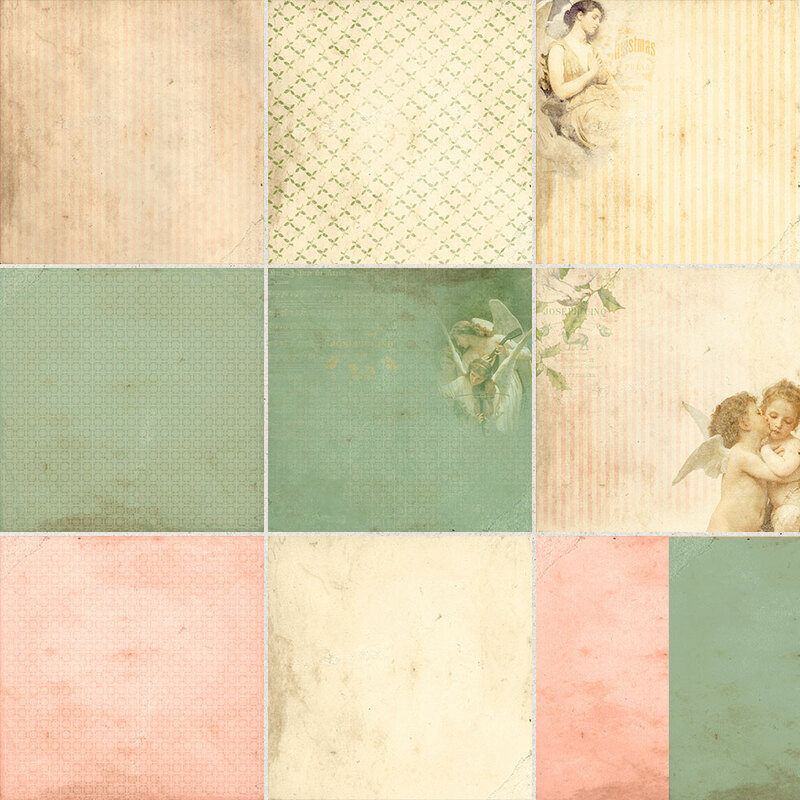 Included are soft and dreamy embellishments and papers with creamy tones, soft pinks and greens, vintage angel images and distressed vintage textures and ornamental patterns. The branches and berries add a bit of nature's roughness against all the softness. And the transfers and overlays add a bit of art to your pages. 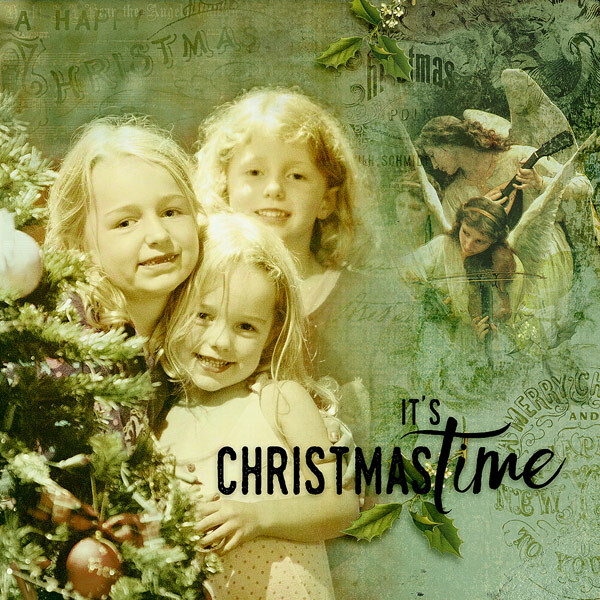 Let the magic of Christmas begin! 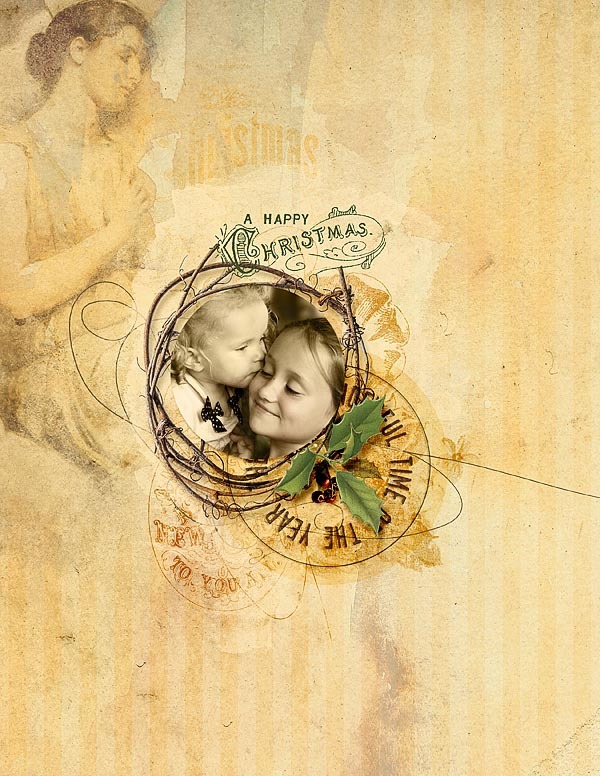 You will receive 10 papers and 33 embellishments, including 3 brads, 2 buttons, 1 branch circle, 1 vintage holly image, 1 berrie, 1 small pinecone, 1 paper rose, 3 artsy overlays, 2 photomasks, 2 frames, 4 vintage words stamps, 4 wordart stamps, 2 round tags, 4 painted overlays, 2 scribbles. This pack was previously available, please check your stash before purchase.